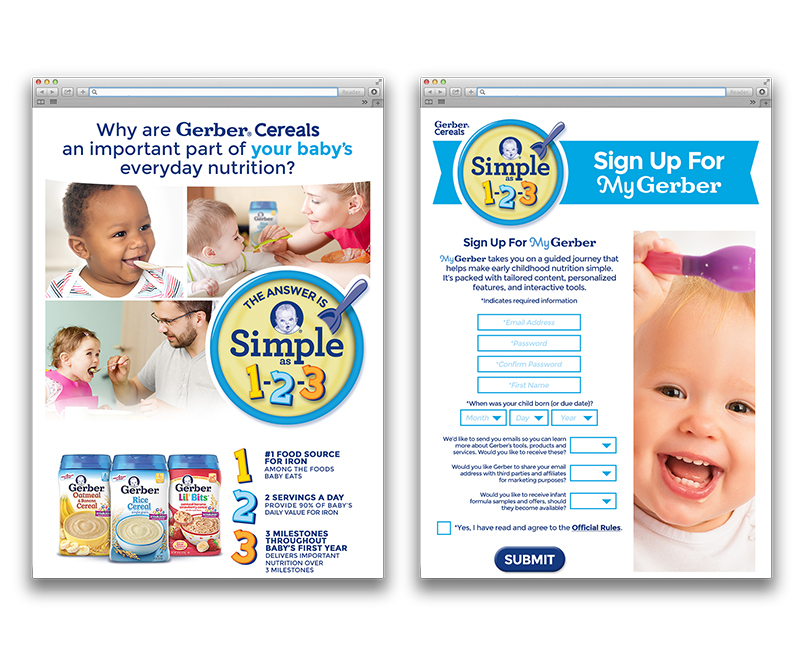 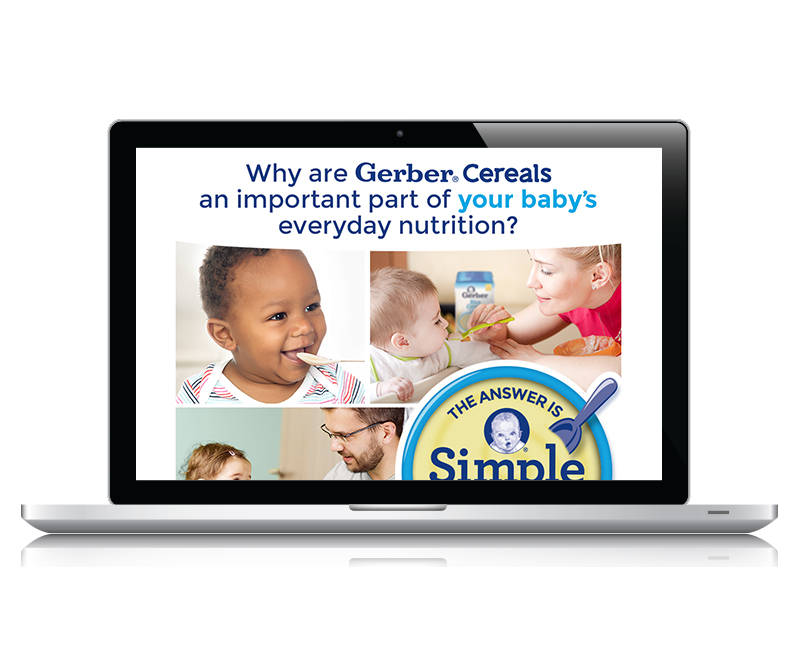 Cereal Promotion – Zucconi Idea Agency, Inc.
For this promotion, we found a powerful new way to communicate the unique benefits of Gerber® cereals. 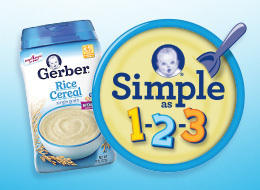 A simple, effective "cereal numbers" meme: the #1 source of iron, 2 servings a day, spanning 3 childhood milestones. 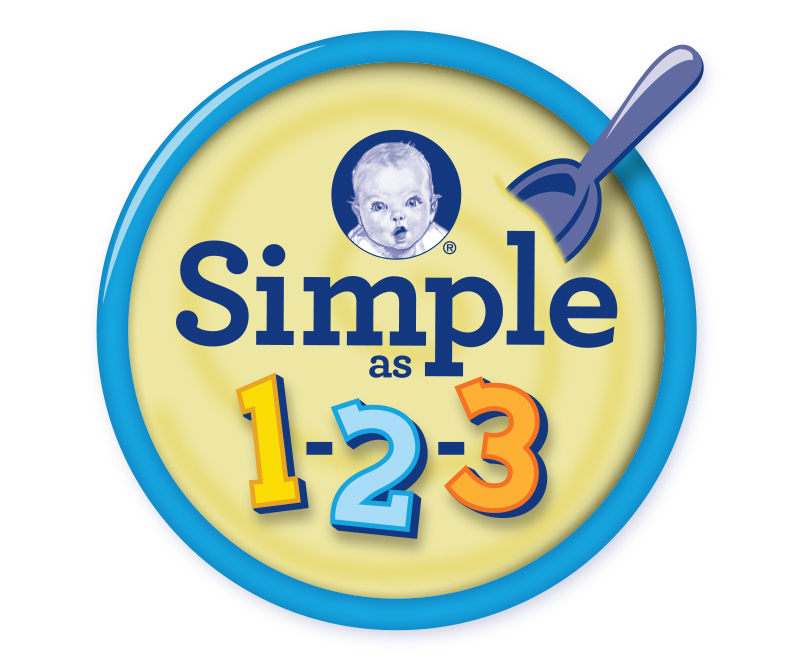 In other words, as easy as 1-2-3. 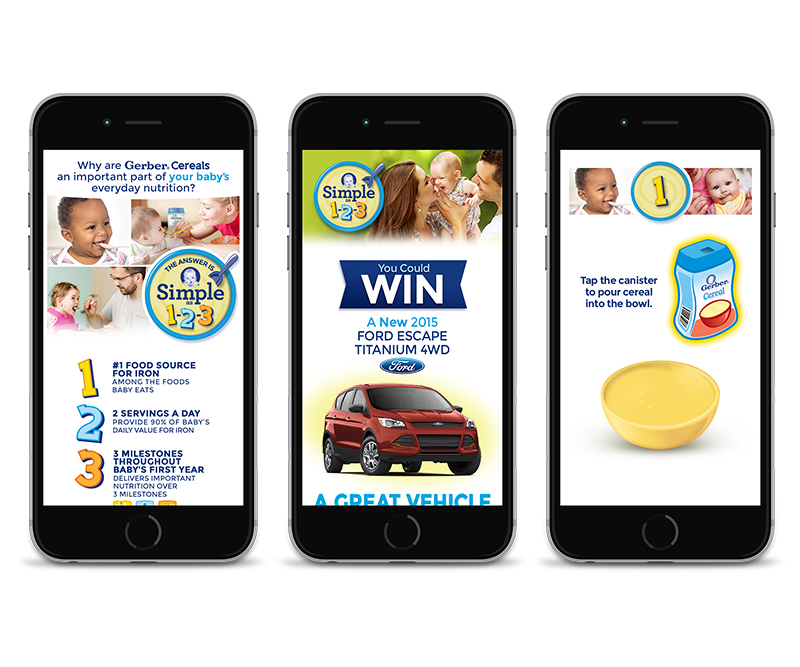 To support the message, we developed an online sweepstakes built around a compelling grand prize: a brand-new family vehicle. 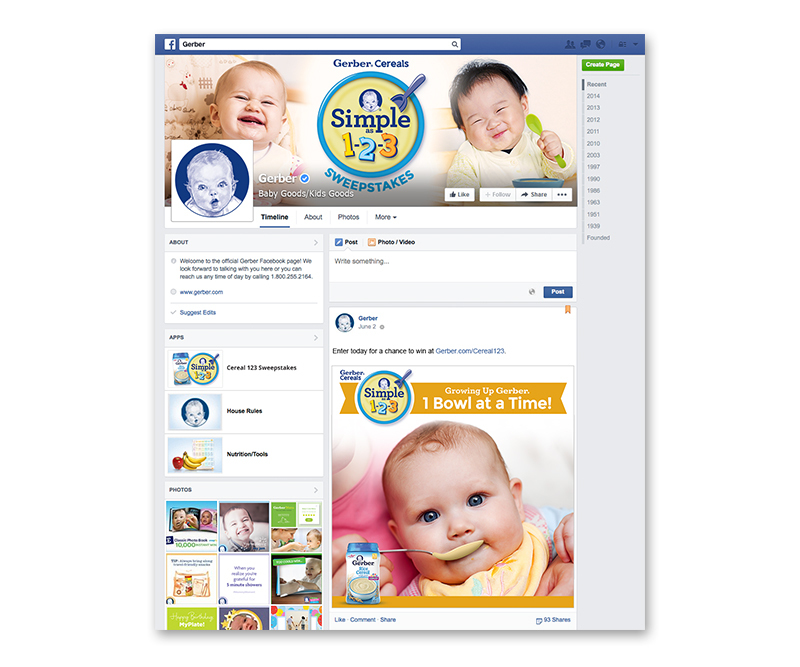 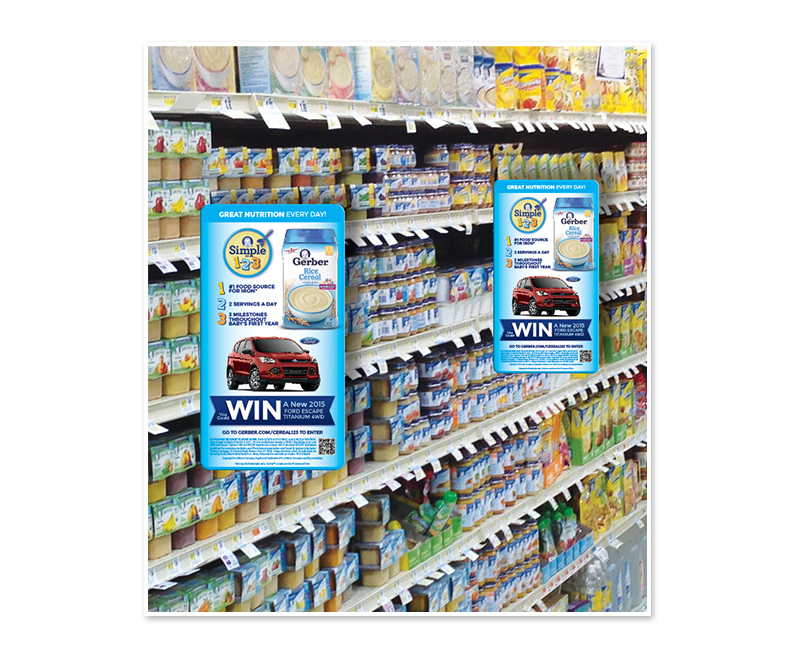 The result: an effective program that seamlessly integrated the brand message and the product.